Get ready for a pretty serious woodworking upgrade… the deck build! If you're looking to give your garden a stunning upgrade, you can't get much better than a luxurious wooden deck. The perfect deck can be as small or as large as you like. It could be as low-key as a little circular patch in the middle of the lawn, or it could be an expansive stretch of wooden boards that wraps itself around a swimming pool—the choice is yours! There are so many types of wood to choose from, and so many shapes to consider. There really is a deck to suit everyone. 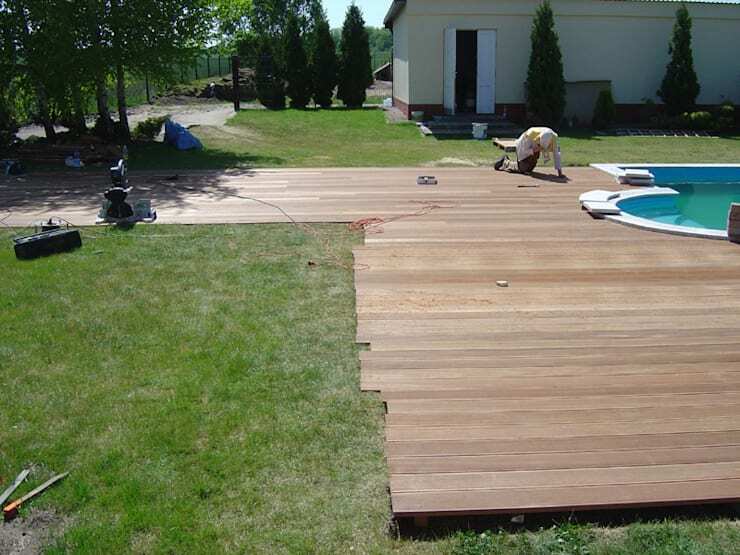 However, aside from versatility, the main advantage of wooden decking is how easy it is to install. Although the process of construction itself is not too complicated, the necessary steps should be strictly adhered to in order to create a deck that is as durable as it is cute. Find out how to build your own beautiful wooden deck with this simple, how to guide! 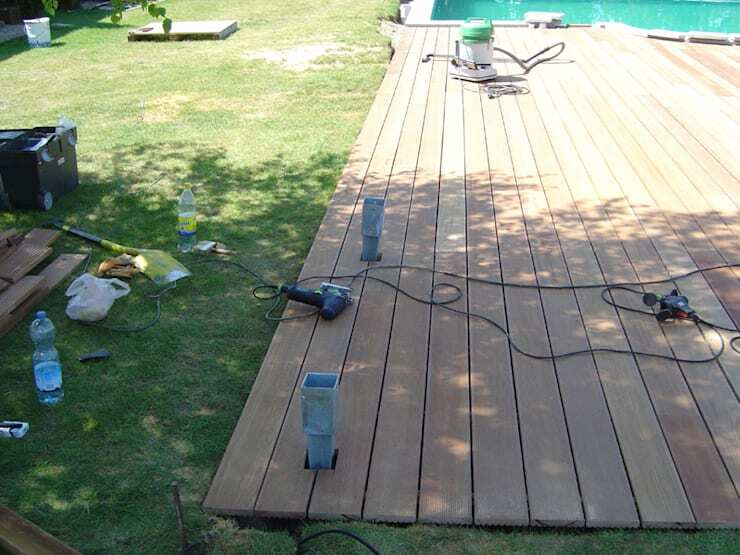 The first step is of course so choose and determine where the deck will be located and the space it will cover. This will allow you to know the exact quantity of materials needed, so that you don't over or under-buy. 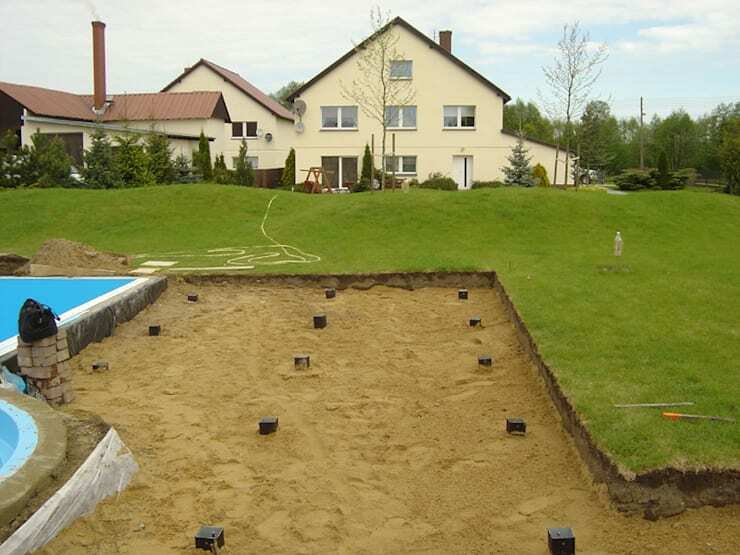 Once you have marked out the area to be covered, place markers to show where the supporting concrete blocks will be located—these are what your wooden structure will rest on. If you're feeling a little bit nervous, consult a professional to help you to measure the space. 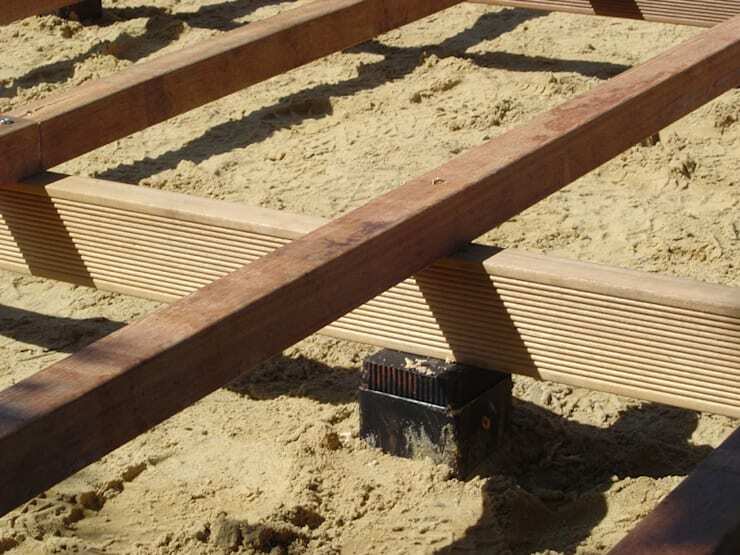 Once you have laid down the supporting blocks, lay the first supporting beams down over them. Be sure to mark where the beam meets the block, and at this point use a drill to make a hole in the wood so that you can bolt the two together. Remember that the blocks and beams should be level, equidistant from each other, and all be an identical size and height. 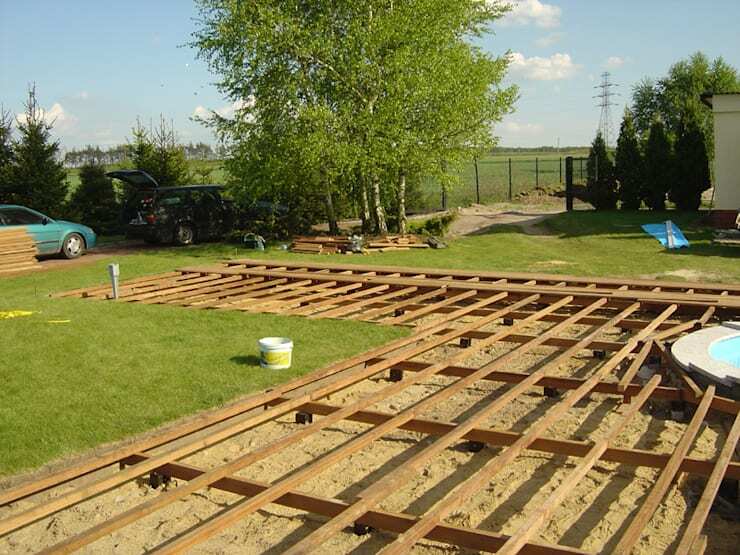 Once the supporting beams are laid, place the horizontal platform beams over the top, taking care to ensure that they are sitting parallel to one another at the same height. Don't forget to fix these beams with screws are the crossings! 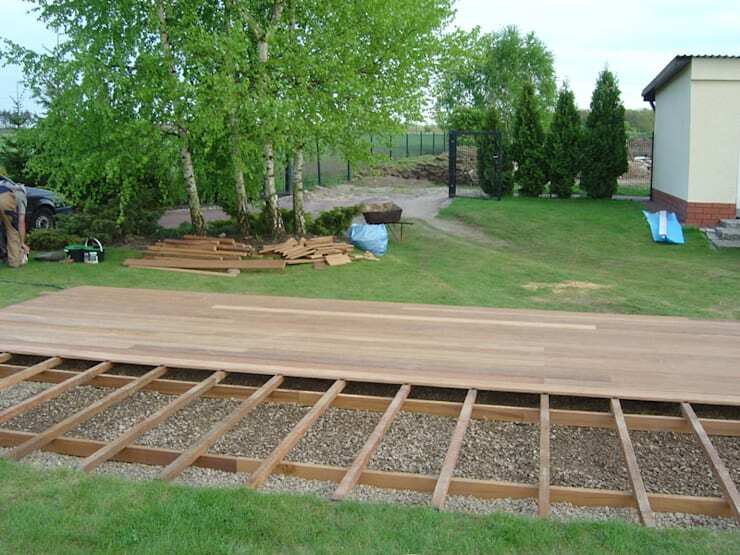 You might be wondering why you can't just lay your decking straight onto the ground. 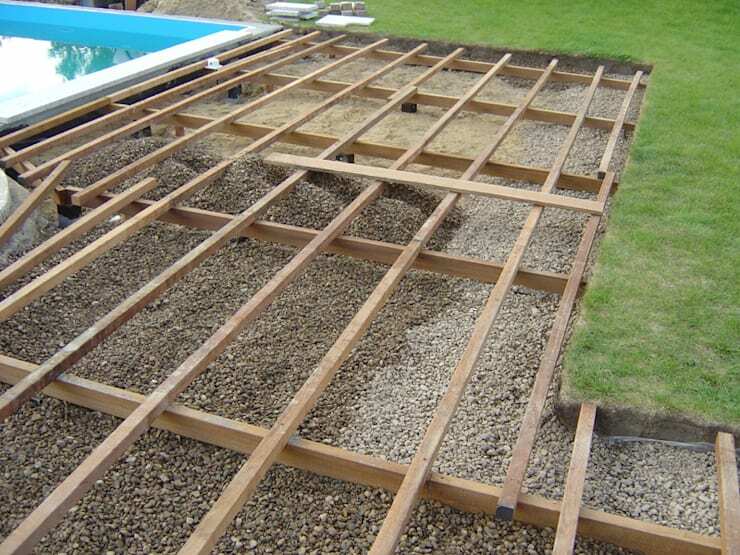 The reason for the raised structure is t provide an opportunity for water to drain, which will keep the underside of the decking dry and prevent it from rotting. 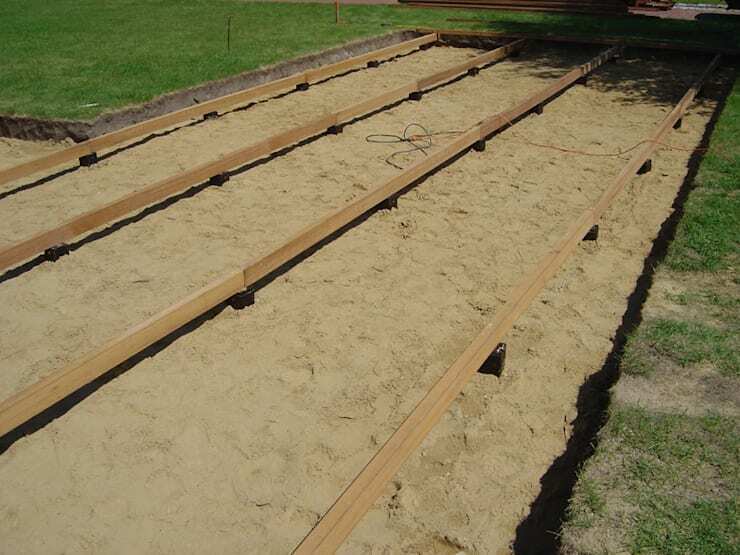 You can further protect your deck by filling the land with gravel, which will allow water and moisture to disperse quickly. This is also a good time to spray the ground underneath your decking with pesticides and weedkiller. Cover up that base! Start laying your planks tightly and evenly, so that no cracks are visible. Once the planks are arranged, the ends should be cut and sanded so that they are all the same size, giving a neat, uniform finish to the deck. You don't want splinters in your feet, so take the time to thoroughly sand the planks of wood. The surface should feel smooth to the touch, with no protruding bits of wood. Don't rush this part—it may be boring, but it's one of the most important steps of the entire process! 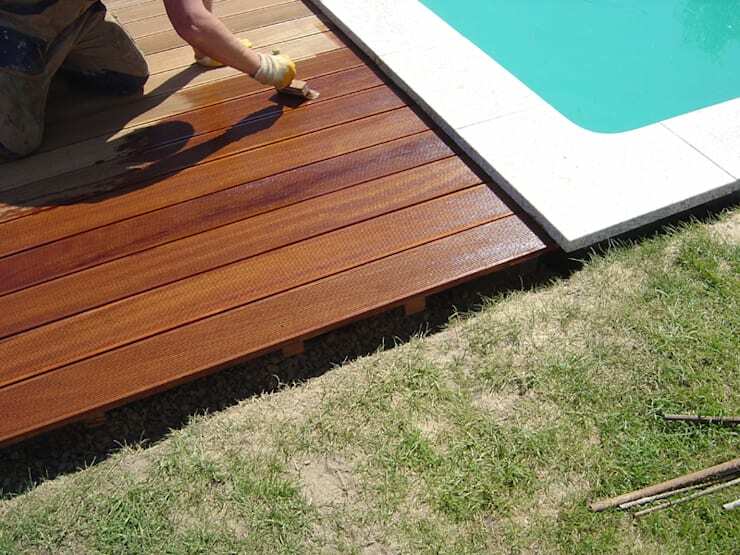 Choose your desired shade of varnish and give your newly smooth decking as many coats as it needs to achieve the right shade and finish. Varnishing your wood is hugely important—it protects the wood from the elements as well as adding to its aesthetic value. Now the fun can really start! Jazz up your deck in time for the summer party season by choosing modern outdoor dining furniture, fun beanbags and cushions, and a parasol to protect you from the scorching sun. If you're feeling fancy you could even build a pergola, just like the designers at PHU Bortnowski have done. Your deck—your rules. If you liked this article, take a look at: 12 tempting fence designs for small houses. Will you be trying this out in your garden?